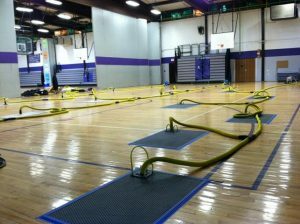 The Bristol Warren School Department was holding a fundraising event in the gym when a basketball free throw accidentally hit a sprinkler pipe and flooded the gym’s expensive hardwood floor. The custodians rushed to remove the standing water, but moisture seeped into the wood and it was beginning to warp and cup. If measures to dry the floor weren’t immediately taken, the entire floor might need to be replaced. Single Source’s Restorative Drying Division was immediately called to assist. Once the situation was assessed, it was apparent that this was a job for our floor drying system for hardwood floors. The system was brought to the location and immediately set up. In order to remove all remaining moisture deep inside the wood, the floor was tented with poly and hot, dry air was continually pumped in. Special drying mats strategically placed on the floor circulated the air through the seams. 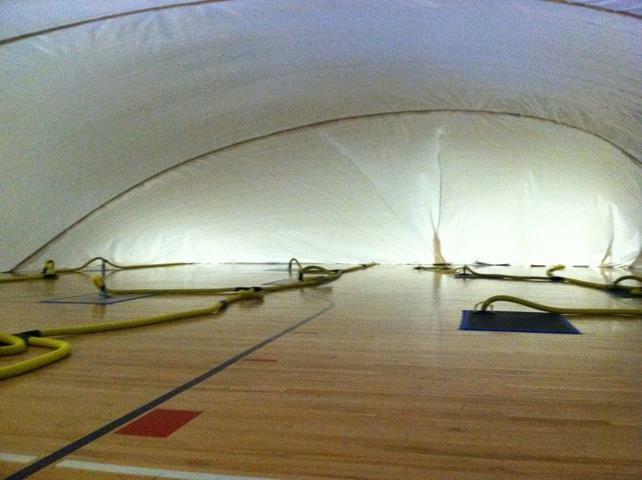 The floors were completely dried within seven days and the gym floor was saved. There was no need to do any repair work or replacement. 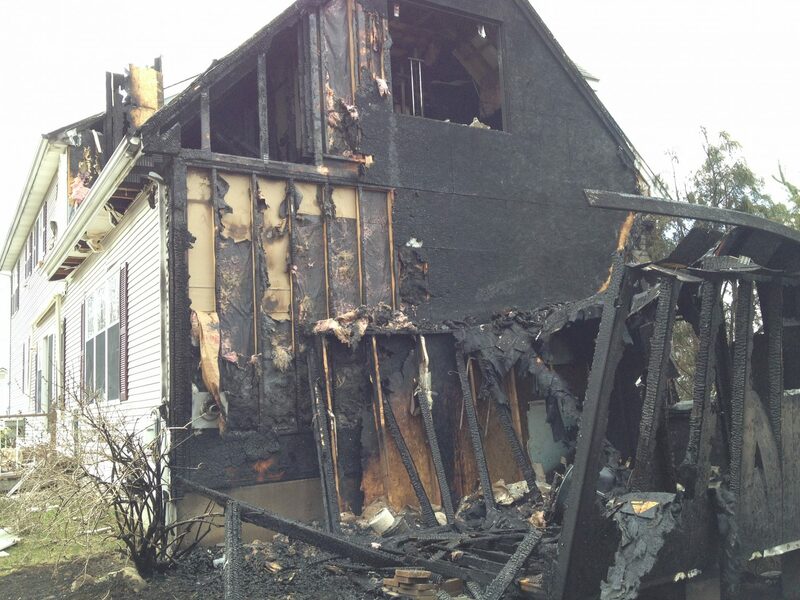 As a result, thousands of dollars were saved.